The following foods and drugs MAY contain sulfites, according to the Food and Drug Administration. Remember to check the product label. Due to their history of use, sulfites have been generally regarded as safe, however there is also a small percentage of the population that is suspected of being sensitive to sulfites. This sensitivity can cause a wide range of reactions ranging from mild to severe; therefore the proper precautions should be taken. SHOULD YOU AVOID WINE SULFITES? 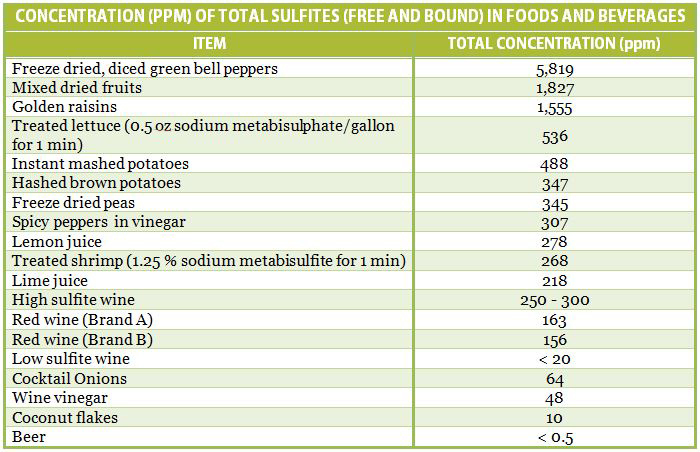 Under the USDA National Organic Program, sulfites are a synthetic food additive. They are not allowed in organic wine or any other certified organic food products, such as dried fruits, jams, salad dressings or juices. In over 30 years of organic wine making, we have never added sulfites or other synthetic additives to our wines. Sulfur is abundant in all life forms and takes many forms in living organisms. Small amounts of naturally occurring sulfites are present in wine and other foods. Synthetic sulfites added to wine are used as a mild antioxidant preservative and stabilizer. Sulfites are added to wine in the form of sulfur salts, SO2 gas or sulfur dioxide solutions. They are commonly used at several stages in the winemaking process. They can be added at the crusher when the fruit enters the production stream and after primary alcoholic fermentation, final levels are adjusted before bottling. Due to the reactive nature of free sulfites, most join with other substances in the wine, becoming “bound” sulfites. Once bound, sulfites can’t be tasted or smelled, except at high levels. Any added sulfite that does not react with the wine remains "free". It is these free, reactive molecules that can be smelled and tasted and react with sinus tissues to cause a sulfite reaction. 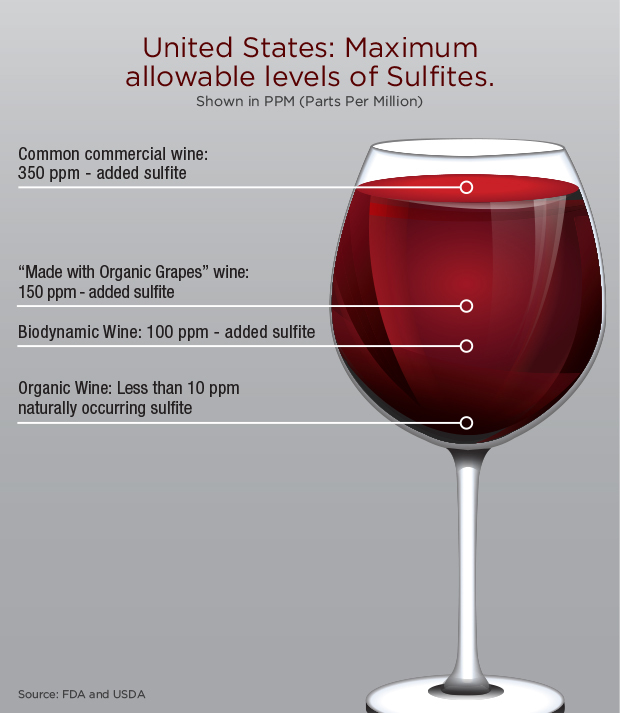 Sulfites are measured in parts per million, or ppm. Following is a brief overview of maximum amounts of sulfites allowed in different classes of wines. Our wines usually range from 0 ppm to 5 ppm naturally occurring sulfites, though most measure 0 ppm. These levels are minimal when compared with an egg, which was shown to contain 6 ppm in independent laboratory testing. WHY ARE ORGANIC SPIRITS IMPORTANT? 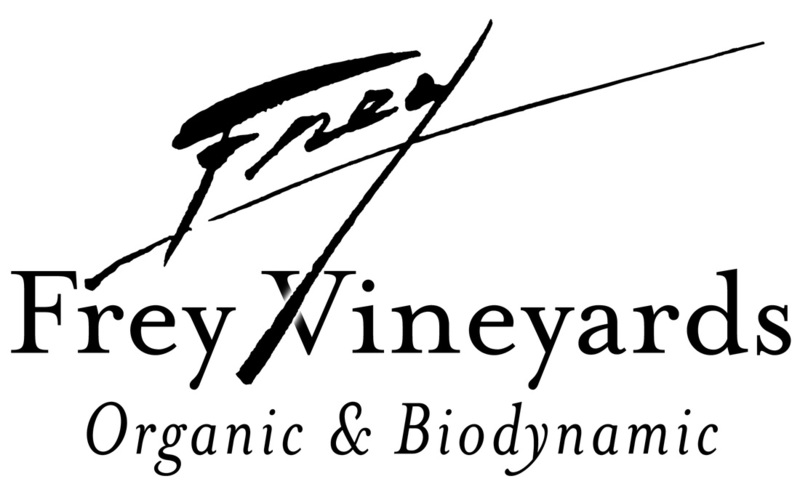 Find out more about organic spirits by listening to our interview with Katrina Frey from Frey Vineyards, oldest organic vineyard in the country, and other makers of organic beer and hard liquor. Our experience is those sensitive to GMOs or chemicals will enjoy their drinks more if you choose all organic ingredients. For some could trigger severe case of alcohol poisoning, allergic reaction, or even a hangover from what is hidden (not on label) in those products. Many are not aware that GMO yeast is used in most all conventional wines. Have purchased a bottle of Frey Chardonnay at Whole Foods and after visiting the Cakebread Vineyard and drank many bottles, found the $18 bottle Frey even better tasting than the $100 bottle of Cakebread. They have won many awards for their taste and quality without the GMOs, pesticides, and sulfites. 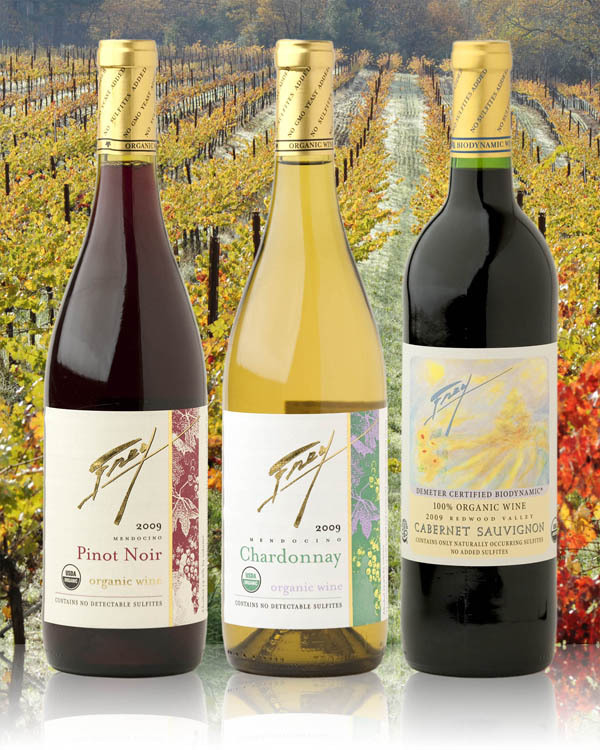 Frey Vineyards are a NON GMO Certified vineyard in USA. Rare to find a wine without GMOs. Biodynamic growing methods that go another step beyond organic to preserve and enhance the soil and environment are also used to create an even higher quality grape. The extra nutrition and microorganisms in the soil can add another level of flavor while not adding any unwanted pesticides, GMOs (used in making yeast for wine), sulfites, or other "UNKNOWN" chemical additives that are not required by government to be listed on the label so can use without telling the consumer. Choosing organic spirits may be more important to your health than you thought. Ever notice how alcoholic beverages are the only food type product that does not require "Nutrition Facts" labeling? What is really in that product? Some of it not so good at all. Download the interview and listen later on you phone or computer. 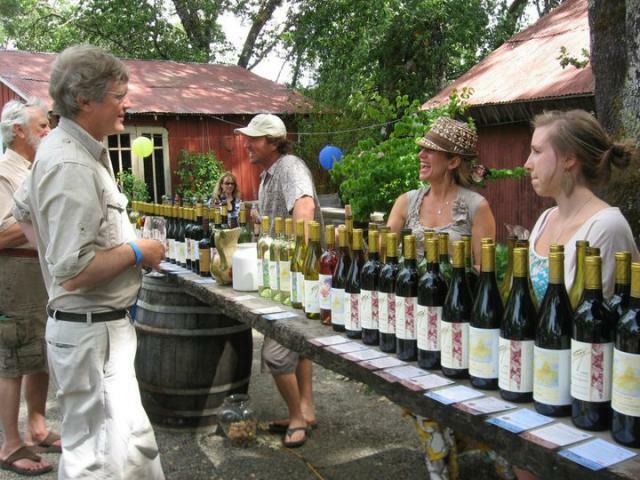 Katrina Frey and their family have received many wine awards for taste and quality. One of the biggest honors was to be recognized by Queen Elizabeth, a supporter of organic agriculture as the sustainable choice for the world and a tool in reversing climate change. Hear more from Director Rodale Institute on how organic farming can save the world. Click here. The Owner of the Organic Wine Exchange, Annie Arnold has a lifetime of experience with wine after growing up in her parents Los Angeles wine store. Once she learned about pesticides and other methods used in conventional farming/processing, she could only in good conscious sell organic varieties of wine and therefore started the Organic Wine Exhchange. Organic spirits, beer, and wine are all better choices over conventional. Besides no pesticides and GMOs there are no "hidden" chemicals. Alcoholic beverages don't require ingredient labels so no telling what is used in the product. With organic products they CANNOT use chemical and claim organic so ALWAYS the better choice. Can work on preventing hangovers too. Come and Join Us on Pinterest as We Add New Organic Alcoholic Beverage Pins!